March 31, 1865: 2 15″ Dahlgren Smoothbores, 1 heavy 12-pdr., 1 light 12-pdr. Namesake: Canonicus, a chief of the Narragansett Indians, befriended Roger Williams, and presented him with a large tract of land for the Rhode Island colony. The first Canonicus, a single-turret monitor, was launched 1 August 1863 by Harrison Loring, Boston, Mass., and commissioned 16 April 1864 at Boston, Commander E. G. Parrott in command. Canonicus sailed from Boston 22 April 1864 and arrived at Newport News, Va., 3 May for service with the James River Flotilla. 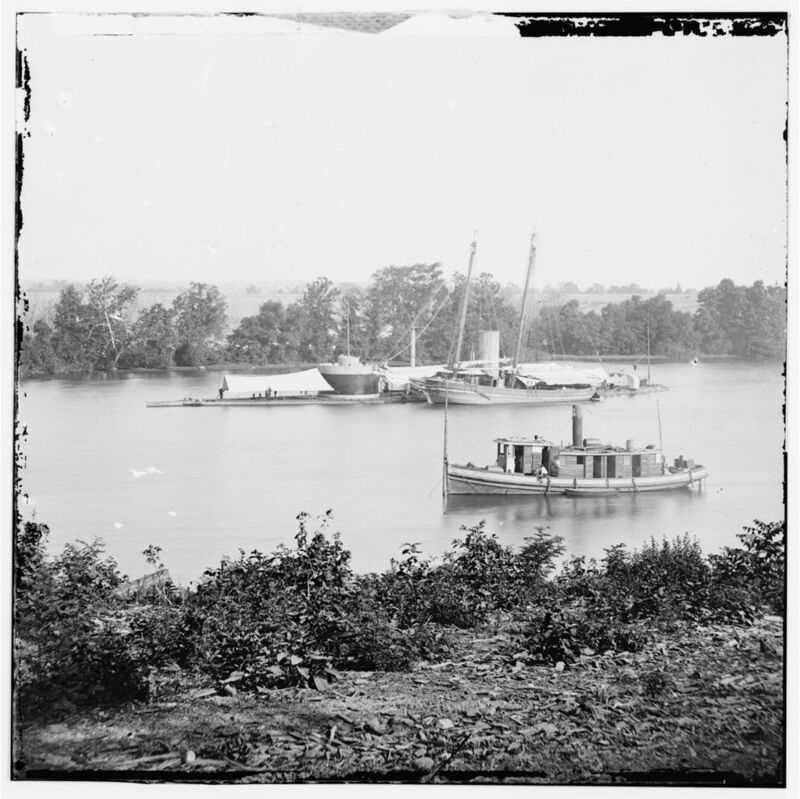 Her heavy guns pounded Confederate batteries at strong points along the James on 21 June, 16 August, and 5-6 December. 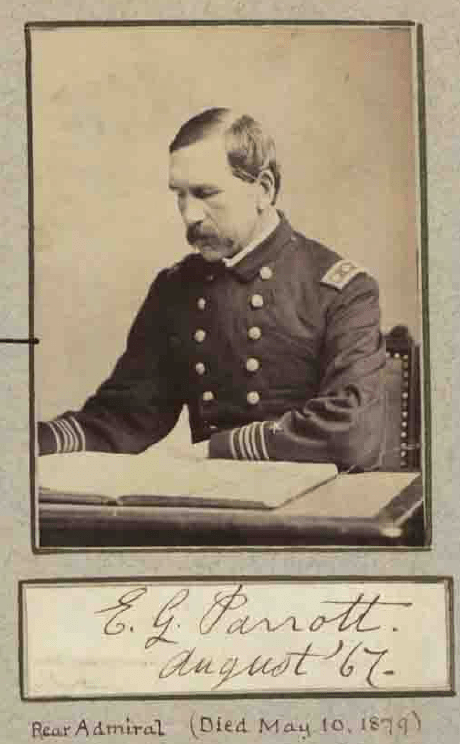 Reassigned to the North Atlantic Blockading Squadron, the monitor arrived at Beaufort, N.C., 15 December 1864, and took part in the heated attacks on Fort Fisher, N.C. In the first engagement on 24 and 25 December, Canonicus was hit four times, but suffered no casualties and only minor damage while her own well-directed fire put two guns of Fort Fisher’s battery out of action. On 13 January 1865, during the second attack, Canonicus felt the full effect of the Confederate fire, receiving 36 hits. Twice her flag was shot away, twice gallantly replaced. Miraculously, none of her men was killed, and only three wounded. Again, she dismounted two of the Fort’s guns. In February 1865, Canonicus joined the South Atlantic Blockading Squadron off Charleston, S.C., and during the closing months of the war aided in the capture of several blockade runners off the South Carolina coast, as well as voyaging to Havana, Cuba, in search of CSS Stonewall. The monitor entered Philadelphia Navy Yard 25 June 1869, and was decommissioned 5 days later. Renamed Scylla 15 June 1869, she was reassigned her former name 10 August 1869. Recommissioned 22 January 1872, Canonicus cruised in coastal waters in the Atlantic and Gulf of Mexico when not out of commission, as she was frequently during this time. Her final decommissioning took place at Pensacola, Fla., in 1877, and she performed no further service until sold 19 February 1908.